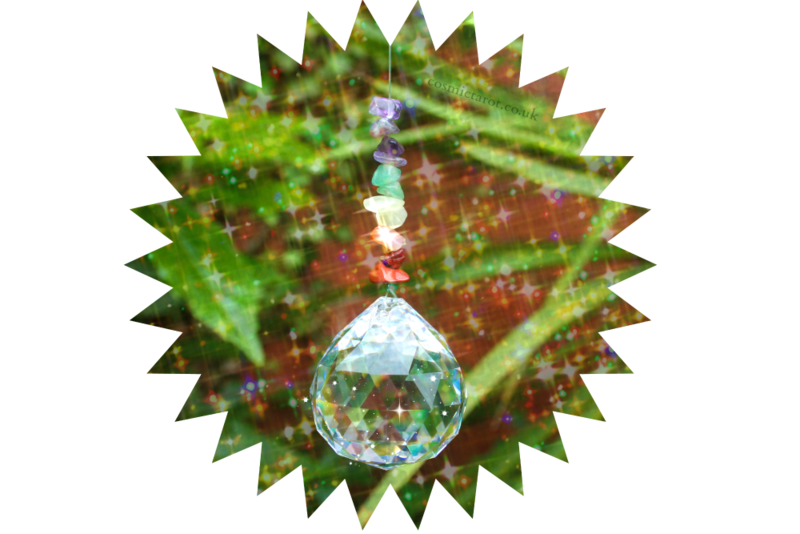 My chakra window hanging crystal creating plenty of rainbow glitz and sparkle in my living room when the sun shines in at a certain angle. Here are some fabulous hanging crystals available to buy in my shop. Yes, the hanging crystals can turn a living room into a magical disco when the sun shines in at the right angle ;) When that happens, I stop what I'm doing and just sit there and enjoy the show for a while...it's soothing.